In love with the shoes. 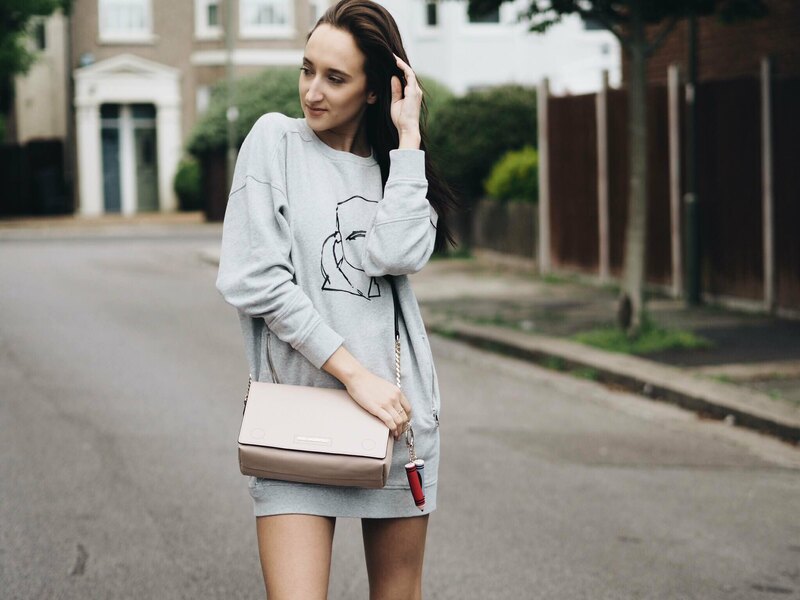 In love with the sweatshirt dress, in love with the bag and the keychain. Dusty pink is killing me right now and we have a lot of it at Karl so it's so hard to not get tempted to buy everything!!! This is a new collection called 'The Artist' so if you're in London soon check out our store or at least the windows, they're incredible! Also I am so sick of my hair I just don't know what to do with it at all. How to style it, how to wear it, how to cut it. Help!!!!?? ?